Titanium Grade 19 Bar, Titanium Alloy DIN 3.7195 Round Bars, ASTM B348 Titanium Gr19 Bright Bar, CP Titanium Alloy Gr19 Bright Bar, Grade19 Ti Cold Finished Bars, Titanium Alloy Grade 19 Round Bars, UNS R56320 Titanium Grade19 36?Round Bar, ASTM B348 Titanium Grade19 3 Ft Round Bar, manufacturer, Suppliers, Exporters, Mumbai, India. Titanium Grade 19 Bar is lightweight, strong, corrosion resistant and abundant in nature. Titanium and its alloys possess tensile strengths from 30,000 psi to 200,000 psi (210-1380 MPa), which are equivalent to those strengths found in most of alloy steels. The density of titanium is only 56 percent that of steel, and its corrosion resistance compares well with that of platinum. Of all the elements in the earth's crust, titanium is the ninth most plentiful. 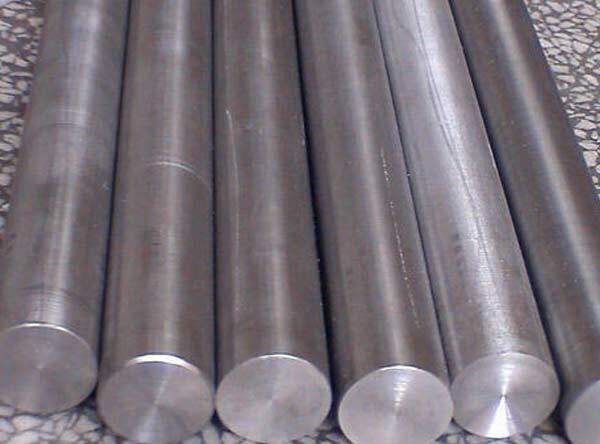 Titanium Grade 19 Bar has very high strength and can be heat treated. It offers good resistance to stress and corrosion.